SAN ANTONIO, TX -It took less than an hour for the unruly SXSW mob outside to tear down the chain link fence that separated them from the most anticipated reunion of 2011. That’s when the pepper spray was unleashed. Patrons shifted through orange clouds, their faces like perturbed oompa loompas, squinting and rubbing their eyes as they retreated to the farthest corner of the alley. Tasers rattled and the dilapidated rent-a-fence laid flat like some kind of rubble. Mounted police parted the alley crowd, equipped with batons and riot gear. All the while the music continued. Jesse Keeler’s thumping bass lines reverberated off the alley walls while Sebastian Grainger’s vigorous vocals commandeered the crowd to stop what they were doing and dance. 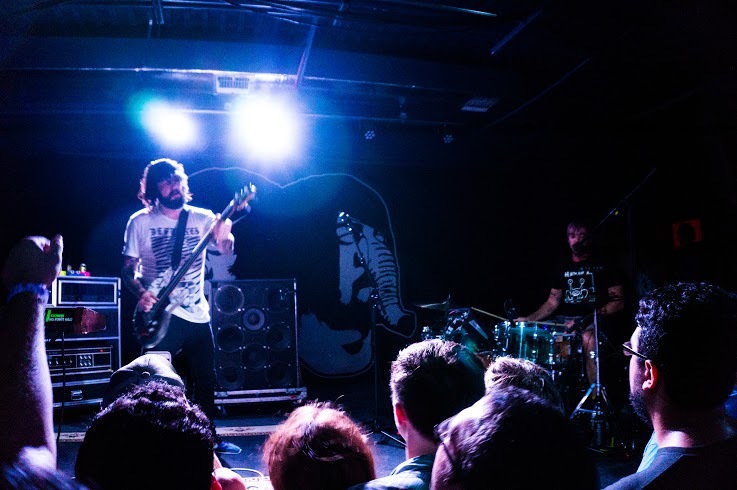 Death From Above 1979 was back and they came in with a bang. I was in that alley four years ago, catching glimpses of a band that, up until that point, I never thought I would have the opportunity to see live. Whereas most bands reunite for a tour and/or nostalgia purposes, Grainger and Keeler decided to take another go at the DFA1979 machine and have since toured steadily and released a solid follow up to their timeless debut LP I am a Woman, You’re a Machine. Thanks to Transmission Events, South Central Texas has been given several opportunities to watch the Canadian dance punk duo to turn it out. 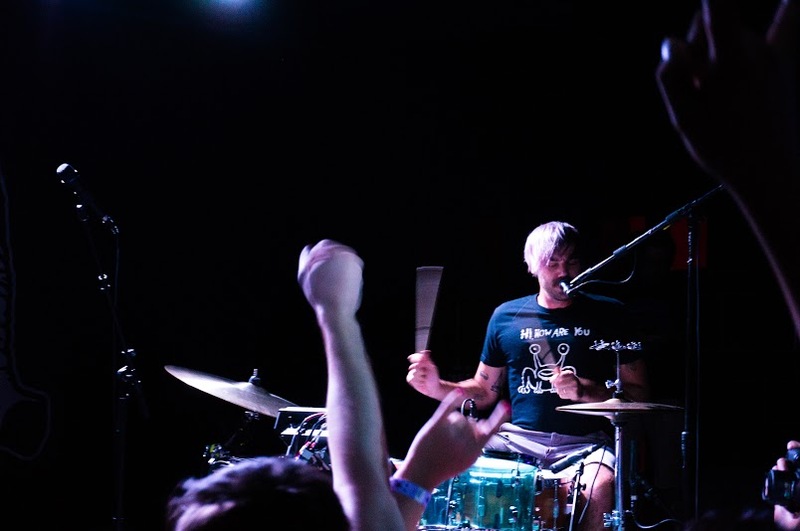 On August 18, Death From Above 1979 returned to the Alamo City for the first time in a decade. 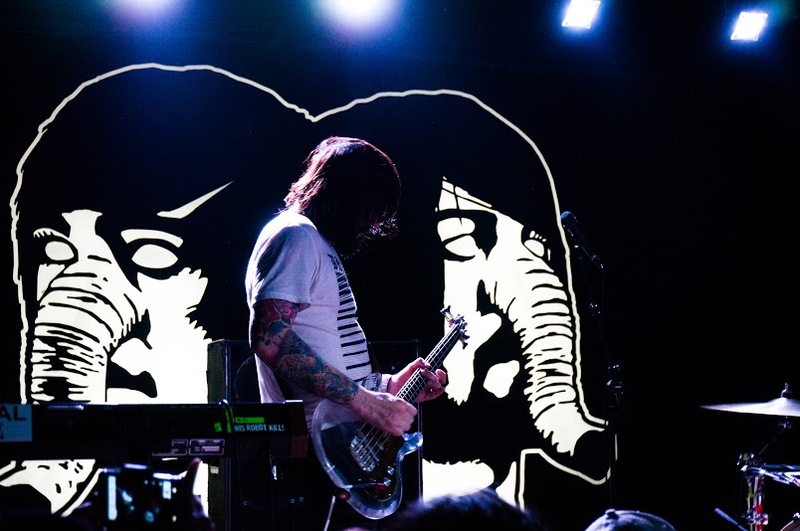 Taking a quick break from their tour supporting Incubus and Deftones, DFA1979, along with fellow opening act The Bots, played the Paper Tiger to an intimate but energetic crowd. While no mini riots ensued, the intensity was still there as they blasted through their discography of menacingly distorted funky bass lines and dancey drum beats. In between crowd surfers and mini circle pits, the band instilled a concentrated level of excitement and camaraderie that can’t be experienced in a festival crowd or amphitheater. It was a throwback to the kinds of shows the band played a decade ago. It’s these kinds of shows that have brought a lot of bands to San Antonio this year; bands that, in recent years, skip us when touring through Texas. It’s these kinds of shows that lift up our music scene and show that San Antonio is more than just a metal city.